Rainbow Six Siege Update 2.2.2 for PS4, Xbox One, and PC is now available for download. The update comes with multiple fixes and improvements to the game. The company released update 1.34 with 664MB size, and a second Rainbow Six Siege version 1.35 went live afterward that’s 117MB. While Custom Matches have been hosted on dedicated servers since February 2016, we will be reducing the requirements to host a Custom Match and have it remain on dedicated servers. Previously, players were required to have a full lobby (10 players) within 10 minutes of starting the match for it to be hosted on a server, as opposed to being hosted via peer to peer. Once this feature has been deployed, you will only need two players in a Custom Match lobby to ensure that your match will be hosted on a dedicated server. By reducing the total number of players required to host a Custom Match on a dedicated server, it will open up more possibilities for an improved gaming experience, even when you don’t want to play a full 5v5 match. Another impact of the move to dedicated servers for Custom Matches is that player hosted online lobbies will no longer be available. For players to host a match alone, they will need to utilize the LAN mode. 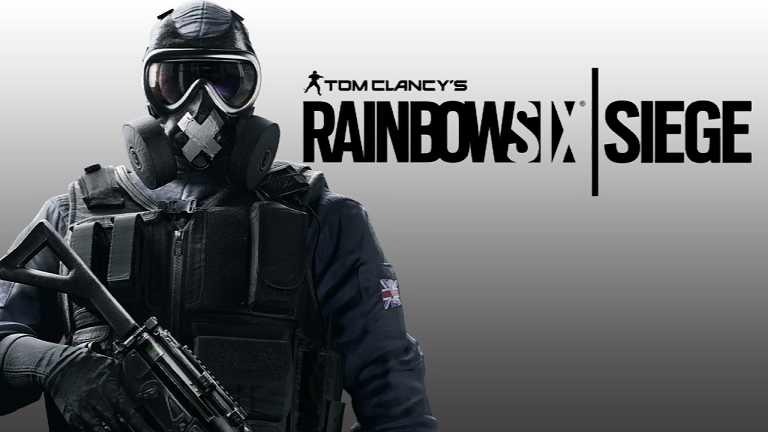 With Rainbow Six Siege Update 2.2.2 and Rainbow Six Siege version 1.35 Host migration in Terrorist Hunt is going to be a thing of the past. We will be hosting all Terrorist Hunt matches on dedicated servers starting in the near future. This will allow for a more stable experience for those of you who wish to take on the White Masks! With Rainbow Six Siege Update 2.2.2 for PS4, Xbox One, and PC implementing an improved integrated voice chat service for all platforms that will be hosted on dedicated servers. Vivox will allow for more clear voice communication, all while using less total bandwidth. This new voice chat solution will provide all players with an ability to more clearly communicate with their teammates, especially after one of them Fuzes the hostage. We will be rolling this out to PC first, and console deployment later to ensure a high quality launch. The animation for vaulting through a window while aiming has been tweaked to reflect where the vaulter is aiming. In the past, the aiming animation took a short amount of time to reflect where the vaulter was actually aiming, which sometimes cause some confusion for an enemy watching the vault. This change in With Rainbow Six Siege Update 2.2.2 and Rainbow Six Siege version 1.35 for PS4 will fix this so that the enemy player will know where the vaulter is aiming. Unlock the Luck Seventh elite bundle for Pulse on August 9th! This unique bundle introduces a head-to-toe customization that will make you really stand out in the winning screen. Purchasing the bundle unlocks the Oscillator weapon skin for the M1014, UMP45, 5.7 USG and M45 Meusoc along with Wavelength gadget skin for Pulse’s HB-5 Cardiac Sensor, Slick Victory Animation, Elite Pulse Chibi Charm, and Lucky Seventh Uniform. With Rainbow Six Siege Update 2.2.2 and Rainbow Six Siege version 1.35 every player who has played Rainbow Six Siege from the start of Operation Health from May 23rd to the start of Season 3 in late August will receive this charm. We appreciate your engagement to Rainbow Six Siege. As a thank you for your continued support as a Year 2 Pass owner, we are happy to offer you Doc’s Gauze headgear and the Mended weapon skin. This applies to all players who own the Year 2 Season Pass. If you purchase the Year 2 Pass at any point until it expires, you will still receive these two items. Check your game update and download Rainbow Six Siege Update 2.2.2 and Rainbow Six Siege version 1.35 for PS4, Xbox One, and PCs.